Tie your chosen bait to the Bait Clip with bait floss. 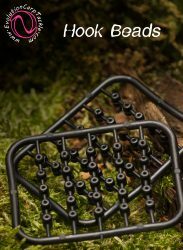 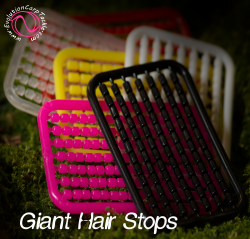 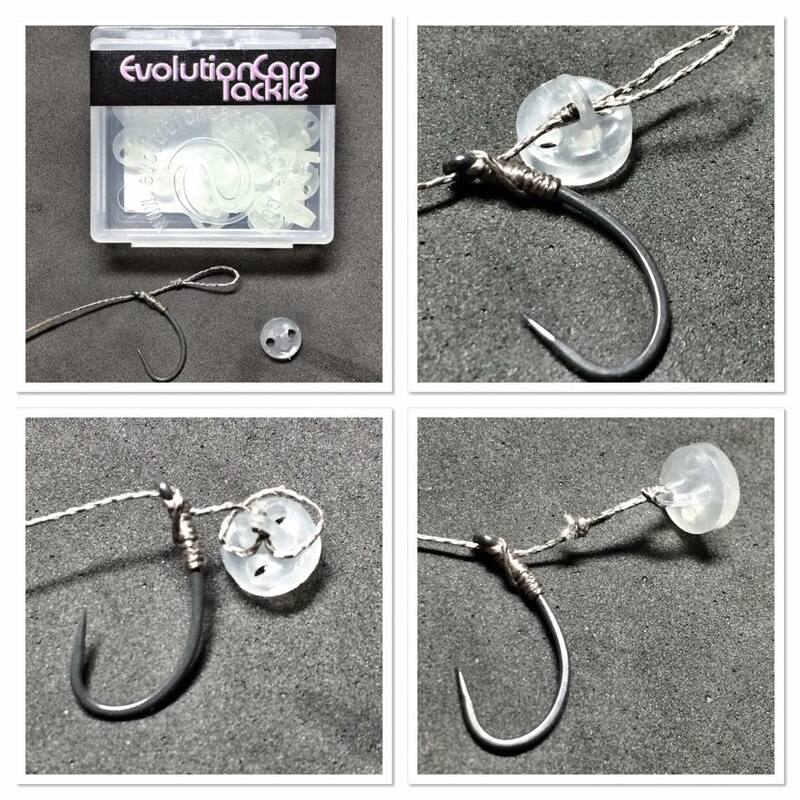 Then slide on your hook shank and use one of our easy to use hook beads to secure. 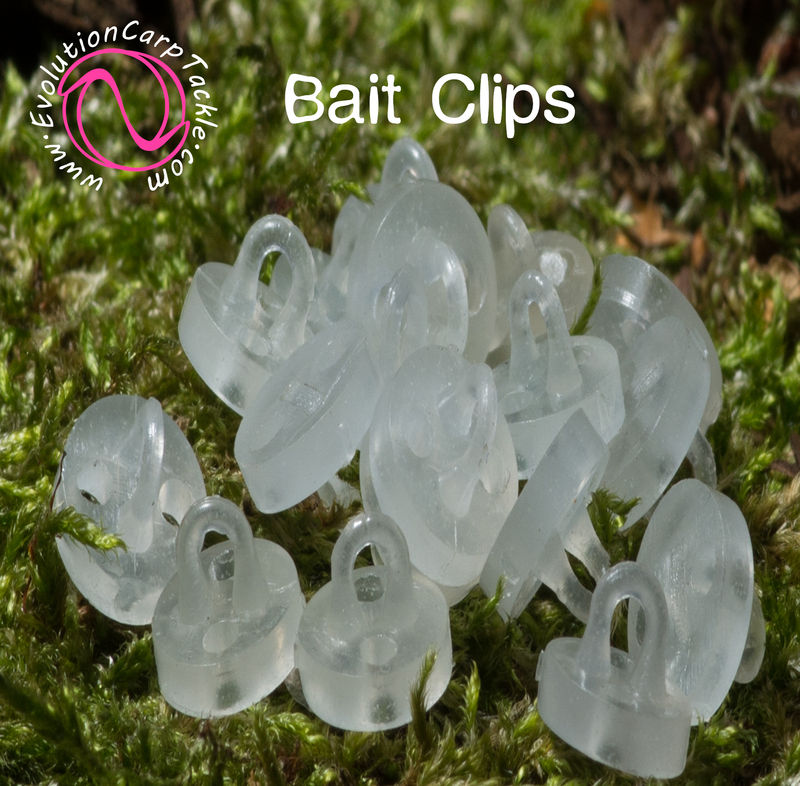 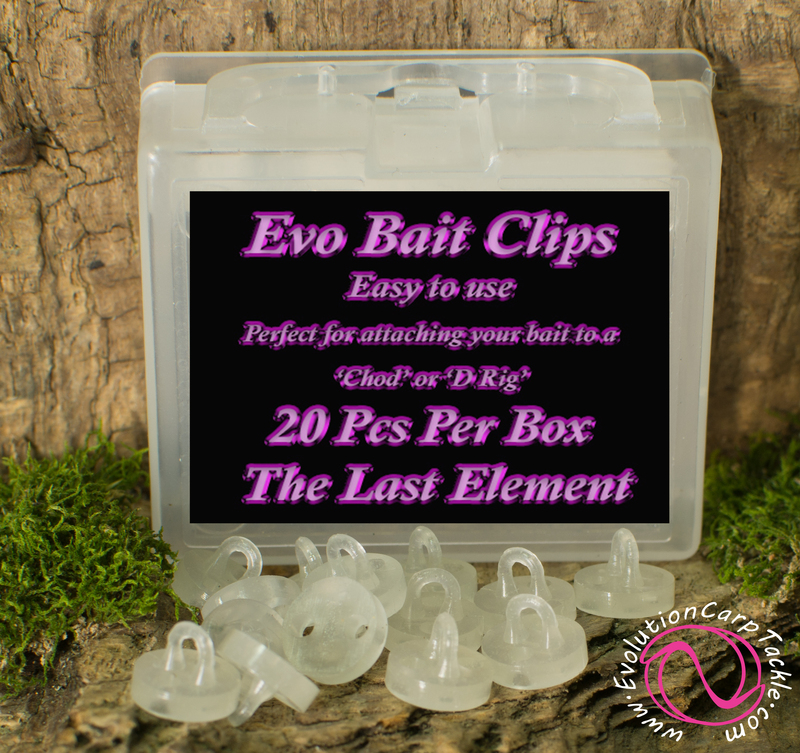 The “Bait Clip” has been designed to make attaching a bait to your rig easier. 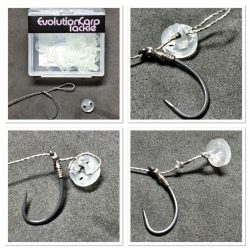 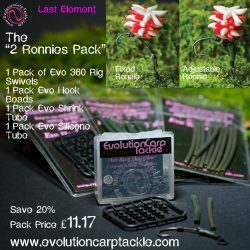 Its simple design enables you to tie a bait to the clip using floss, and then is simply attached to your “D Rig” or tied direct to your hair. 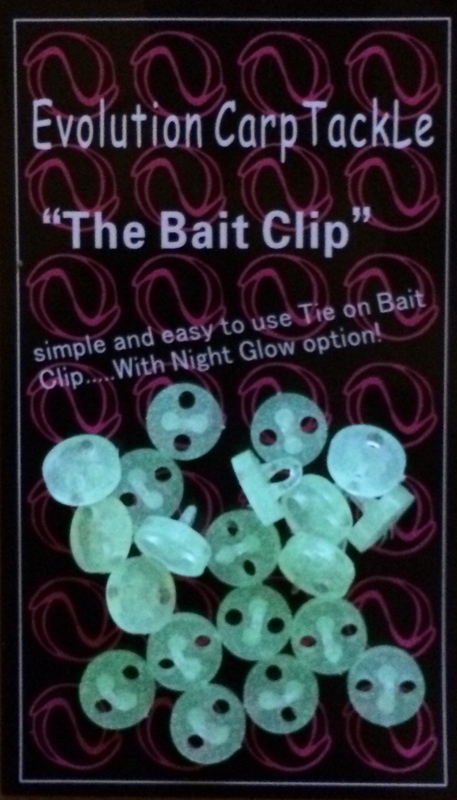 We have made the Bait Clip from a Buoyant Night Glow Plastic. Simply charge the clip with a torch to give a gentle glow under your bait at night. 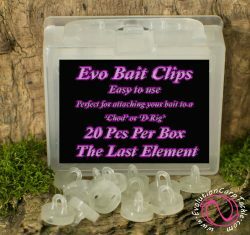 As many anglers know a glowing bait can often get picked over other baits.